Ahupe Ghat and the Success Story of Devrai (The afforestation led by faith)..
Fabulous Landscapes, Picture perfect countryside, gushing streams, mighty hills, tranquility, and great company..
Ahupe Ghat is a pass leading from Khopiwali in the Konkan, to Ahupe village in the Ghats. Ahupe village is at a height of about 3855 ft. 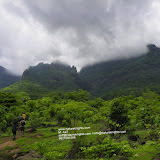 The Ghat drops vertically to the Konkan all around Ahupe, and there are many narrow gorges, with breathtaking drops. the route from Khopiwali to Ahupe, near its upper reaches, is very narrow, and almost a gorge. Ahupe village is very picturesque. 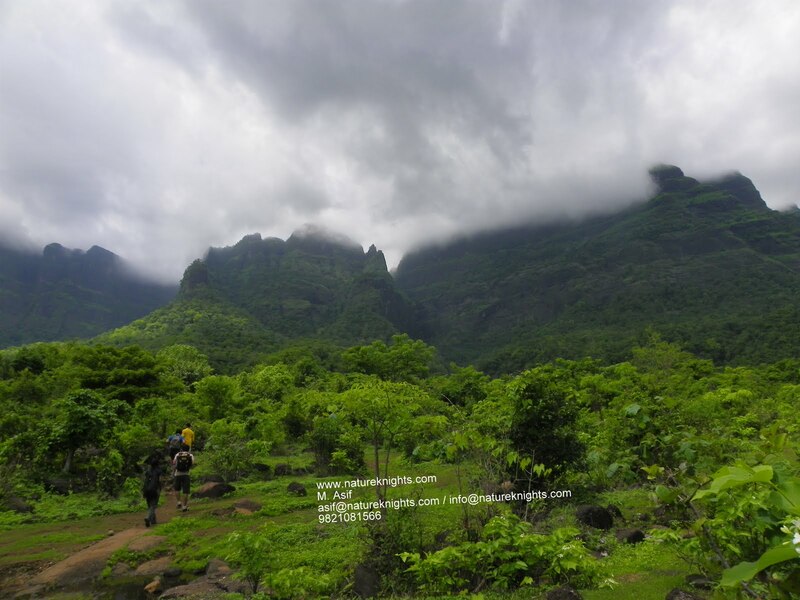 It looks like a remote hamlet because on one side, is the steep drop to the Konkan, and on the remaining three sides, there is a mountain range enclosing it, cutting it off from the Deccan plateau proper. This is a pleasant one day hike with rather dramatic views from the top. 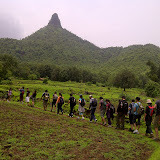 Devrai - The Sacred Groves of Maharashtra. These Devrais are nothing but religiouly preserved forest patches. Ahupe near Bhimashankar has such Devrai - protected by faith of nearby tribal people "Mahadeo Kolis". Ahupe Forest and its people the Mahadeo Kolis make up for a damn interesting story as most Devrai's have fallen to Axe of the greedy, Ahupe Devrai is a success story. If fact in last 3 to 4 year they have planted several thousand trees that are growing well. The Mahadeo Kolis are also inspired by a local Vet. doctor who is very actively involved with them. They have also constructed small spring water water tanks with clean water for trekkers and pilgrims to drink. Water holes for animals.. Indeed a success story..
Mumbai - Thane (Eastern Express Highway) - take left turn from Kalyan / Highway Junction - Breakfast at Quick Bite - Cross Kalyan - Ulhas Nagar - take Mahshej Ghat road till you have to turn right for Murbad - after Murbad continue till - Mahasa (Mahasa has got Sunday Bazaar) - Take left from here and keep going till Khopivli - Trek starts at Khopivli Village.